Bloodline will return for its final season later this month, and one actor will only appear in two episodes. 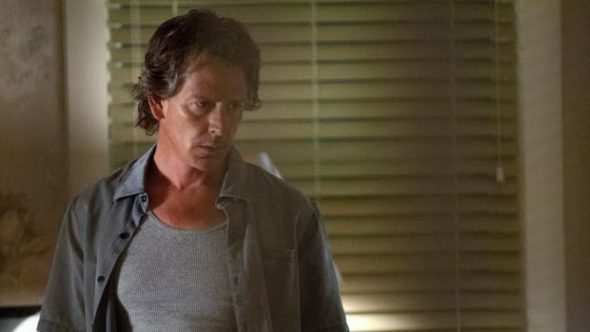 TV Line reported that Ben Mendelsohn will only appear in two episodes of season three, and they are at the end of the season. Bloodline will have 10 episodes in its final season. Are you excited to see how this series plays out? Tell us what you think. A really great show that restored my faith in our ability to produce a quality TV series that didn’t involve vampires – no wonder it’s been cancelled! Love it! Especially Sissy Spacek. I was so into Bloodline, I thought the Feds were investigating me! It was so good, I felt like I was apart of the cast! Thanks for bringing it back for one more season!!! Yes cannot wait! I was in Islamorada 2 weeks ago for my daughters wedding. Love this place and love the show! I bought the book at the Islander where we stayed ! A locals guide to Bloodline… so awesome! Damn shame FL ruined this for everyone. Excellent writers. Excellent actors. Excellent directors. Excellent crew. Top-notch programming. We can’t have that, now can we?!?! FL is why we can’t have nice things. ********. Great acting, exceptional script. One of the very best series in quite some time. Wish it wasn’t ending. We love bloodline. I hate to see it end. I love bingewatching this show. I dont want it to be over. I love and I’m happy to see it end. Most shows run to long get really bad. It’s like long movie. I wish more shows would do this. I’m sad to see Bloodline end. I’ve thoroughly enjoyed the series. Yes…we have been anticipating the return of the show. Sorry to hear this will be the last season. Eager to see what the good Rayburn’s do bad.